In 1944 the Holler family of Edinburg Virginia founded a small poultry processing plant along Stoney Creek west of Edinburg. Over time this operation grew to become Blue Ridge Poultry and Egg Company, a regional poultry processor. In 1971 Rocco Farm Food purchased the poultry plant from the Holler family and operated it until 2001 when it was sold to George’s Inc. They still maintain the expansive facility on Stoney Creek Road and are the second largest employer in Shenandoah County. As the poultry plant grew, its workforce changed dramatically. Originally most employees were locals seeking wages to supplement their farm related income. However, in the 1970s this began to change as immigrants from Central America began arriving in the area to fill job openings. Originally these Hispanics came for jobs in the valley’s apple orchards which had attracted migrant workers from across the US and South America for many decades. However they quickly found that the poultry industry, which paid high wages, provided job security, and which had a growing demand for labor, provided more opportunities. Many went to work in this Shenandoah County plant. Over the next several decades the Hispanic population grew as processing expanded. Initial immigrants were of Mexican background. They were joined in the 1990s by Salvadorans and Cubans fleeing conflict. By 2003 an estimated 50-75% of the workforce at Georges and other poultry plants were Hispanics. This influx has dramatically altered our local communities. In 2010 approximately 7% of the local population identified as Hispanic. This number is expected to grow. The Census Bureau estimates that by 2040 they will account for 25% of the county’s citizens. When immigrating, Hispanics bring with them elements of their culture. Membership in local Catholic Churches, which offer Spanish services has expanded exponentially. Latino grocery stores and restaurants have opened in several communities, including adjacent to the George’s poultry plant. In addition other retailers such as Wal-Mart have dramatically expanded the number of Latino related food and cultural items they sell. The relationship between the existing predominantly white population and immigrants has been strained at times. This has been exasperated by the presence of a serious gang culture in the early 21st century and by the economic status of many immigrants. Tensions caused by language barriers and the growing number of English Language Learners in local schools have also caused periodic political issues. However, many of these issues have receded and relations are generally positive. As George’s and other local businesses continue to grow and hire Hispanic immigrants, the impact they have on Shenandoah County’s history will only continue to expand. 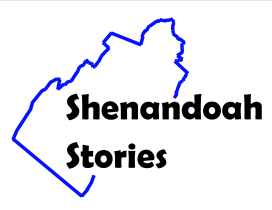 Shenandoah County Library, “George's Chicken,” Shenandoah Stories, accessed April 25, 2019, http://shenandoahstories.org/items/show/147.